For most patients, attending inpatient rehab provides the greatest chance of achieving and maintaining sobriety. Inpatient rehab requires patients to stay in the treatment facility for the entirety of their time in treatment. This provides patients with the chance to recover with structured programs, the support and guidance of staff, supervision, and to be fully emerged in the recovery process with the assistance of treatment professionals. Inpatient rehab encourages the patient to be fully involved in treatments, and be fully removed from daily activities. Rehabilitation poses many challenges and contains certain risks. When the body needs substances for its day-to-day functioning, a dependence has begun. It is here patients experience cravings, as the body reacts negatively to the lack of substances. Painful physical symptoms, known as withdrawal, occur for many patients, often requiring medical/professional attention. Occasionally, patients who abuse drugs such as alcohol and opioids can experience deadly effects. Due to the onset of painful side effects, detox is generally best done under the constant supervision of medical professionals in an inpatient facility. Despite initial challenges and discomfort from withdrawal symptoms, the benefits for inpatient rehab far outweigh the risks. Inpatient rehab separates the addict from their life of addiction, their sources, triggers, destructive influences, and stressors. Inpatient facilities ensure patients to avoid enablers, addiction aggravators, and causes which encourage drug and alcohol use, producing a higher relapse success rate. Patients are provided the attention and care needed to better assist and connect with them on a personal level. Inpatient treatment provides beginning patients access to medical guidance and treatments to get to the root of addiction. Inpatient treatment gives those beginning recovery access to 24/7 medical, spiritual, and clinical treatments to effectively heal the physical and mental damage that is caused by addiction. Inpatient facilities also provide emotional support from staff and fellow patients. A knowledgeable staff is guaranteed to treat patients with the compassion necessary to connect to their vulnerability of their addiction. These combined factors make inpatient rehabilitation the most successful treatment option for addiction for both short-term and long-term patients. Some families are also able to visit patients in rehab, providing additional support and love needed for effective recovery. What Does an Inpatient Rehab Program Entail? There are thousands of inpatient rehab facilities across the US, with unique services for prospective patients. Even at the same rehab facility, the experience of two patients might be dramatically different based on factors such as the types of substance(s) they are addicted to, how long-term and severe their addiction is, and whether any additional mental health conditions, known as co-occuring disorders, exist. Programs last different lengths of time depending on the treatment needs of each patient. Most facilities offer 30 to 35-day programs, and many offer 45-day, 60-day, and 90-day programs as well. Some programs may be longer or shorter as well, although this is less common. Generally, inpatient rehab will begin with detox, where the body rids itself of external chemicals. This is one of the most difficult and dangerous parts of rehab. Once detox is complete, the patient will begin to participate in a number of activities of therapy such as, yoga, biofeedback, chiropractic, massage therapy, self-love and reflecting, writing, and meditation, which help the patient understand their addiction and how to recover. Inpatient rehab additionally provides other coping strategies that will minimize the risk of relapse. Rehabs are located across the country. Many patients believe that it is easiest and most beneficial to stay close to home. However, many treatment experts feel that traveling for rehab is actually more advantageous because it more fully separates the patient from their addiction. Amenities vary tremendously, from white sandy beaches in Florida to working cattle ranches in Arizona. Patients who prefer specific activities or who find specific therapy modalities to be more effective would be advised to study different rehabs in order to make the best selection based on their likes and needs. What Should I Consider When Choosing an Inpatient Rehab Facility? A strong benefit of the vast numbers of inpatient rehab centers is the high probability a prospective patient can find a facility that is specialized for their needs and preferences. However, this also means the patient may be overwhelmed in making decisions of which rehab facility is best for them. A rehab seeker can help those entering into rehab make the best decision by considering several factors. If choosing a rehab facility is a challenge for you, help is available for your peace of mind. There are dedicated treatment experts waiting for a call 24/7 to assist you to a facility that will get you or your loved one back to sobriety. Take control of your life. Contact a treatment specialist now! Each addiction is treated differently during treatment. For example, alcohol detox requires different procedures, medications, and supervision than Xanax detox. Some facilities may not be able to adequately deal with some addictions, while other facilities have greater success treating certain addictions. There are numerous types of therapy available, some combining cutting-edge medical treatment with gentle healing methods for prospective patients. Patients can be sure to find healing via treatment of the mind, body, and spirit and gain a deeper sense of self-awareness as they attain healing. Some individuals react differently to different therapies; however, many of these therapies are centered on inner healing. For instance, some facilities offer meditation for patients to attain inner-peace. To assist the psychological component of treatment, they can connect with trained staff to reflect on the nature of their addiction to uncover core issues and triggers. Patients are also embraced for who they are and are treated with the love needed to find healing to soothe the emotional and spiritual body. Gentle approaches to therapy are provided, making treatment as comfortable as possible. Some rehab facilities also offer group healing to help patients form deep and lasting bonds that can last beyond their time in rehab. Fitness programs are implemented to help patients enhance their physical strength, and some rehab facilities allow patients to connect with nature by beach trips and watching the sunrise. Other spiritual treatments are implemented to empower patients to live a life of purpose and passion, inspiring them to achieve transformation and a sense of control over their addiction. With these treatments, they can go back to feeling connected to the world around them. Treatment is a life-long process, and doesn’t end once the patient completes the rehab program. The first few months post-rehab are both the most challenging and the most important. In order to increase the likelihood that the patient will maintain sobriety, they must continue with treatment and lifestyle changes. Two of the most useful ways of doing so are aftercare and sober-living homes. Aftercare programs typically continue after treatment, such as wellness checks and therapy. Many rehabs offer these programs to ensure a high patient recovery success rate, although the services offered vary. Sober-living homes are groups of individuals who live together and mutually agree to not use substances. These homes provide a safe and supporting environment with like-minded individuals, and greatly eliminate any possibilities of relapses, temptations, triggers, and substance access. Many rehabs either run their own sober-living homes or have agreements in place with independent homes. There are numerous government and professionally-run groups with licensing and accreditation agencies available for patients. Local government and states have their own agencies. This means the licensing and certification will be different depending on location. Facilities are accredited and licensed, with licensed and accredited staff members. A sign of credible facilities would be their willingness to share information requested by the patient. Reputable facilities are open to disclosing any information you request, while disreputable facilities will be vague when prompted for information. While certain certifications and staff are good guides, meeting legal parameters do not guarantee a quality rehab center. For millions of recovering addicts and alcoholics, involvement in support groups is essential for recovery. Support groups hold meetings for members to get together and discuss addiction and recovery concerns. Most support groups are based on the 12-Step model, developed and made famous by Alcoholics Anonymous, the world’s largest substance abuse support group. Additionally, there are hundreds of different support groups, many following a different model, such as SMART Recovery. Many rehab facilities have support group meetings available, but almost all have connections and contacts with other groups. Every rehab has a different layout and design, some of which are more conducive to successful recovery. Many find that a single campus environment, where residential, medical, clinical, spiritual, and recreational facilities are all located on the same campus, are the most effective. This minimizes the time that patients spend traveling between facilities and allows them to dedicate more of their time and energy towards treatment. This design also reduces outside influences and temptations. The safety of a facility is also very important. Facilities located in lower crime areas generally provide the fewest temptations and greatest likelihood of success. Treatment cost is one of the biggest concerns many rehab seekers have, and is also one of the biggest deterrents for getting treated. Facilities offer a variety of payment plans to ensure prospective patients have access to treatment. There are many payment options available that can dramatically reduce or spread out the cost of rehab. There are a number of government programs, such as the Affordable Health Care Act available to help patients with treatment costs. There are also a number of private options such as health insurance, financing, scholarships, and property sale. However, some facilities only accept certain payment options. Be sure to know your financial needs in order to make the best possible choice align with the facility you choose. Dealing with addiction seems like a frustrating and hopeless cycle; however, there is always hope. 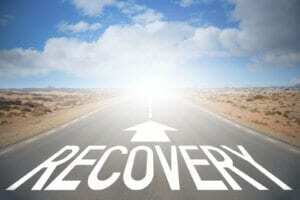 Finding a rehab facility is statistically the most effective method of successfully finding recovery. There are many facilities to choose from, and various factors to consider. Future patients can greatly benefit from consulting with a treatment specialist to better narrow down the treatment that is the best fit from them. Contact a treatment specialist now to discuss what options are available to you with a dedicated treatment expert, and start your healing journey.